OUR PEOPLE — Our editors and publishers collectively have more than 100 years of fleet publishing experience. They have the insight, knowledge, experience, and industry contacts to identify and report market trends. They also serve on many industry association boards and are frequently called on to speak at industry events. They are devoted to producing magazines, tradeshows, and websites that deliver high-quality content for the entire fleet market. 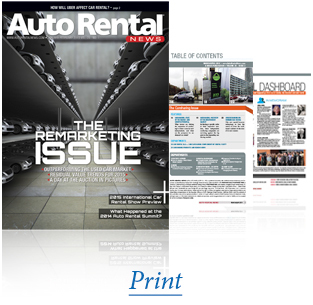 OUR MAGAZINES — Our seven automotive magazines cover the entire spectrum of the fleet market. We reach more than 250,000 fleet industry decision-makers every month with Automotive Fleet, Auto Rental News, Business Fleet, Fleet Financials, Government Fleet, Green Fleet, and Work Truck. Our magazines have won countless awards for groundbreaking editorial and graphic design.